For most families, the holiday season is a time for gathering, sharing, laughter and memories. But, for those affected by Alzheimer’s disease or a related dementia, the season can be very stressful for them and their caregivers. Planning ahead makes holiday celebrations more relaxing for families with Alzheimer’s. Have fun with laces, switches, clasps, zippers and locks!! Bring the gift of music to your loved ones!!! Keeps you entertained for hours and enhances fine motor skills!! Relax to the sights & sounds of a beach sunrise! Give your Fiddle Muff its own unique name for a more personalized touch! Sure to prompt memories and stimulate reminiscence! Designed for those w/ Alzheimer's! Perfect for memory building and fun to play! Great product to work on sequence concepts! Colorful vibrant objects that logically go together! Brings back forgotten memories from long ago! Stimulates memory recall and conversation! Stimulates memories about using tools-great for the men in your life! Stimulates memories about growing fruits and veggies! Engages memory and conversation about common phrases! Baby Priscilla is the sweetest little girl ever! Baby Izzy is so precious!! Sail away with Baby Kelsey! Meet Baby Libby-the sweetest doll in town! This kitty will bounce right into your heart! A soothing & comforting visual experience for Alzheimer's patients! 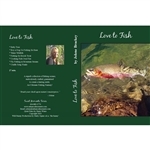 If you love fishing, this DVD is for you! Never again mistake whether its day or night! Lots of fun for the entire family! Exceptional sound quality & lightweight design for seniors! Extra Large Bingo Ball Cage! An ideal way to provide heat and cold therapy! A favorite teddy bear now available in a smaller size! Dementia activity to stimulate the brain! A game the whole family can enjoy! Stimulates creative thinking and reasoning skills! Great way to keep calm and busy! Great for on the go activities! Look forward to this cozy cape after your bath! Recall memories with this fun game! A very special DVD to honor our US military branches.. Enjoy the seasons on your TV anytime of the year! A Gardener's Paradise all in a DVD! A very comfortable choice of wrap! Other colors available! Fun card games for the entire family! Keep hands warm with these oversized pockets! With these puzzles, success is unavoidable! Keep your loved one safe and happy, and try to minimize outbursts that can add to an already stressful time of year. Make name tags for everyone to easily recognize family members. It can be a fun project for the kids; make big letters and even decorate them. Stick to a set schedule, (i.e., when they get up, mealtimes, taking a nap, etc.). Change to routine can very difficult for people with Alzheimer's and dementia. Allow for “down time”, and be cognizant of “sun-downing” which can happen late in the afternoon when there is an increased likelihood of agitation. Find a quiet place for your loved one to rest, perhaps a nearby room, where family members can come one or two at a time to visit with them. Celebrate earlier in the day to reduce the risk of confusion. Consider throwing a holiday lunch instead of a dinner party. Let them take part in a few of their favorite traditions. Due to attention span and cognitive issues, people suffering from later stages of Alzheimer’s and dementia might be happier taking part with the holiday activities of the younger kids. Watching movies, baking cookies, coloring and children’s crafts give them an opportunity to share in holiday activities without feeling overwhelmed. Limit the number of presents, and think “simple”. - Your loved one is not going to be impressed by how much you spend or how many presents you give them. Consider the “age” they are at – not biological, but cognitive – and select gifts accordingly. The special treats are especially tempting to Alzheimer’s & dementia sufferers. Watch where you put the sweets and treats! Also, be sure they stay hydrated during this time. It’s important to keep them feeling healthy, and for any/all medications to work properly. Surround your loved one with music. Music is a part of the holiday tradition that can elevate their mood. If your family has a tradition of caroling, include them in it. Even many suffering from Alzheimer’s can easily recall songs they have known for years! Take pictures and videos. Years from now, you and your family will look back upon this holiday season with warm thoughts about your loved one, and happy times you shared together. It is much easier for people with Alzheimer’s disease to remember things that happened long ago rather than things that happened yesterday, so reminisce with them! Holiday time with Alzheimer’s/dementia victims does not need to be stressful. In fact, some of the moments can be very special as people take time to listen and pay special attention to your loved one. Savor those moments, and know that as long as you show patience and love, you and your loved one will enjoy this holiday as much as ever! If the person is in the early stages of Alzheimer’s, relatives and friends might not notice any changes. But the person with dementia may have trouble following conversation or tend to repeat him or herself. Family can help with communication by being patient, not interrupting or correcting, and giving the person time to finish his or her thoughts. If the person is in the middle or late stages of Alzheimer’s, there may be significant changes in cognitive abilities since the last time an out-of-town friend or relative has visited. These changes can be hard to accept. Make sure visitors understand that changes in behavior and memory are caused by the disease and not the person.